Tis the season… for top 10 anime lists! 2016 held a lot of surprises for us, with everything from wild magical girl adventures to the ultimately unmotivated hero. 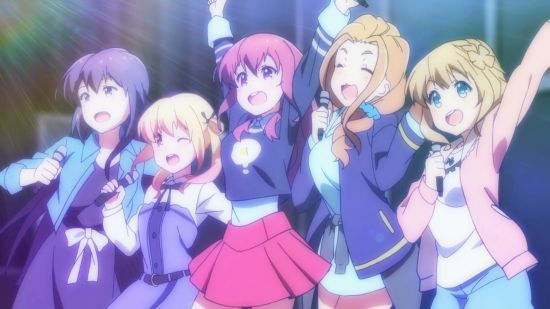 Which of Sentai Filmworks’ 2016 anime were your favorites? Please note: our list starts from the Winter 2016 season to the Fall 2016 anime season. 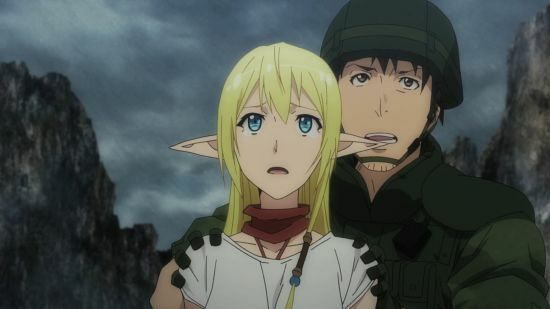 Who else was waiting with baited breath for GATE to return? Although some refer to this second half of GATE as a second season, it was actually a continuation of the anime that started in 2015. However, GATE Cour 2 was a COMPLETELY new monster in terms of the drama, action, and rich world building from the first half. Also, there was more Rory Mercury and Lelei (always a winning combo). The long-awaited third season of Haikyu!! 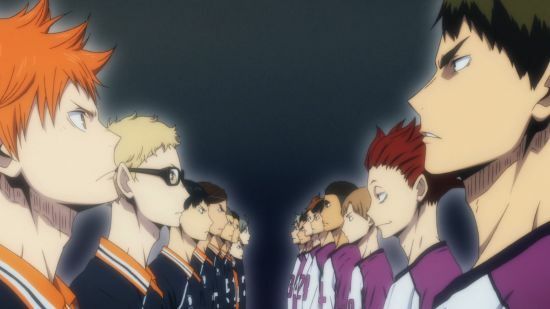 pitted Karasuno against their rivals, Shiratorizawa. This epic match spanned ten episodes, each filled with heart-pounding action. If you didn’t already love the Karasuno boys, you do now (and you also have our permission to smack anyone who calls Haikyu!! a “simple volleyball anime” in the throat). Sometimes, people secretly want to become a magical girl and save the world. Sometimes, they really… really don’t. Such is the case for Matoi Sumeragi in Matoi the Sacred Slayer. The show’s spin on the genre puts Matoi in the position of an exorcist with the ability to wear and wield the powers of a god. 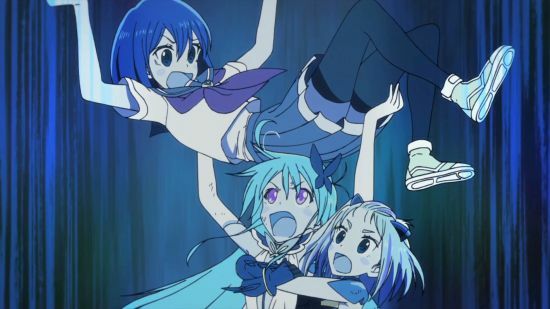 We love the show’s unique art style, marvelous music, storytelling, and character development. 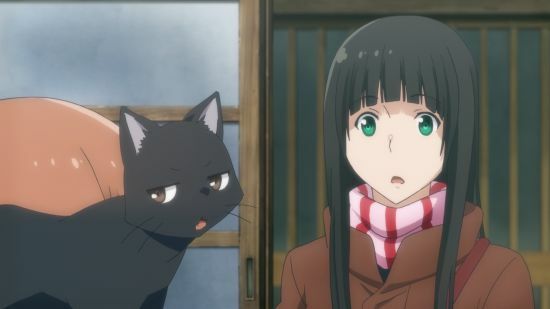 Flying Witch was a feast for the eyes and the soul. With nearly Miyazaki-quality background art in every episode, this slice-of-life anime surprised us with its relaxing (but super entertaining) story, honest characters, great script, and commitment to quality in every episode. Also, the witchy stuff was fun to watch. More shokugeki. Enough said. Well, maybe we can say more: this 2016 anime was amazing for more reasons than just seeing our first season favorites again. 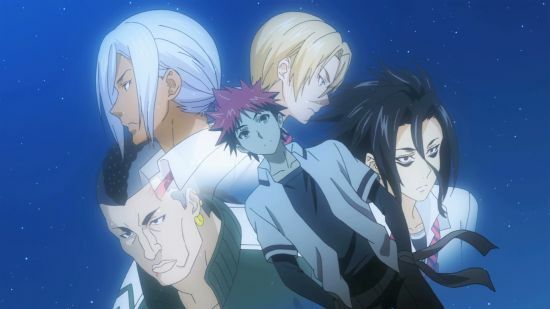 We enjoyed watching Soma grow into a more mature chef, as well as seeing the relationships developing between him and rivals Ryo and Hayama. We also loved seeing Tohtsuki’s best compete, especially with Megumi and Alice. We need more Food Wars! Stat. 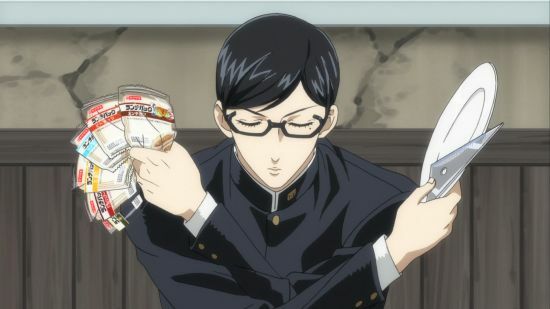 If you HAVEN’T heard of Sakamoto by now, it means you’ve been under a rock. Sakamoto is so unnecessarily cool, it just makes him even COOLER. Who else can make avoiding bullies, prepping sandwiches, or even building a snowman look so interesting? This wonderfully absurd comedy had us going, “Really, Sakamoto? Really? !” at least twice per episode, all the way up to the touching end. 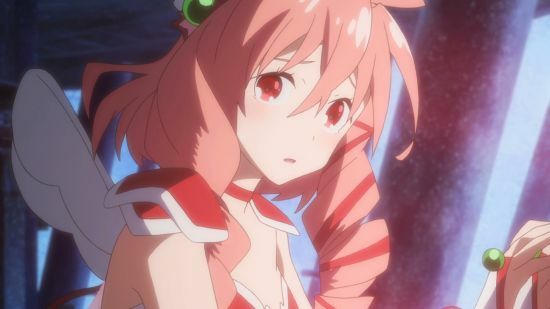 On the surface, FLIP FLAPPERS is an anime about two girls going on adventures in a world called Pure Illusion, occasionally turning into svelte magical girls when they’re in danger. What this show is REALLY about has too many layers to fit into this paragraph. The world of Pure Illusion seems to manifest itself into different worlds, leading to some exciting adventures, theories, and dangerous situations. 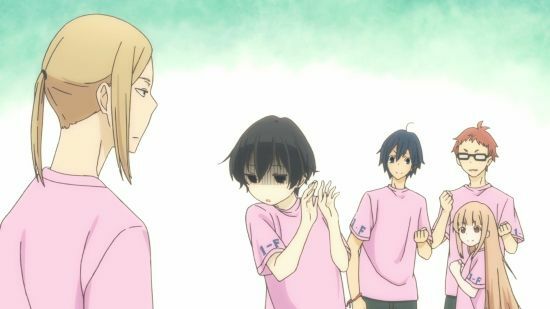 Out with the typical shounen character, and in with Tanaka-kun. You wouldn’t think you’d fall in love with the main character whose main attribute is attempting to do nothing, but it’s exactly this trait that makes him so endearing. Everything about this show is relaxing, with perfect comedic timing. 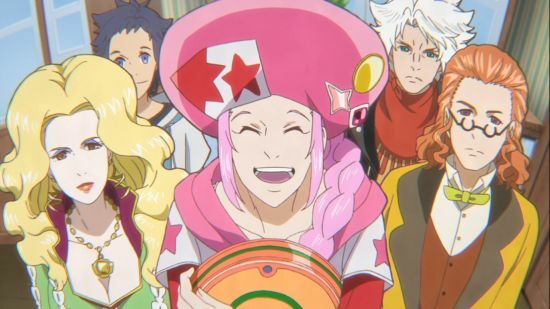 Along with an equally lovable supporting cast, this anime series has a lot of heart and leaves you with a smile. 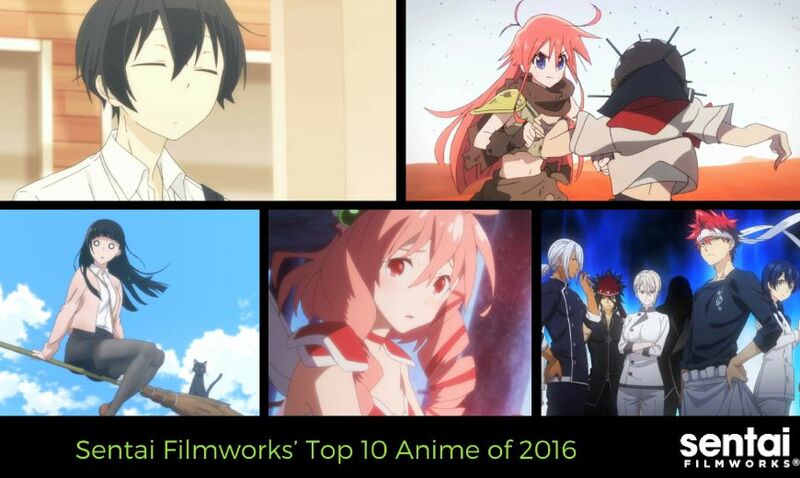 Vote on Your Favorite 2016 Anime! We rely on the voices of fans like you to tell us which titles YOU love. Vote on your favorites, and share which shows you loved this year on Facebook, Twitter, Tumblr, and Instagram.